With the removal of National Standards at the beginning of the 2018 academic year, there have been many discussions in the education sector about what should replace them. At Newton Central School, we are excited about re-connecting with our NZ Curriculum , which was held in high regard globally as an innovative and holistic approach to teaching and learning, ultimately equipping students with the skills necessary to succeed in an ever-changing society. Unfortunately, the introduction of National Standards narrowed our focus on reading, writing and mathematics and actually resulted in poorer achievement results compared to other countries around the world. online access to student achievement in real time, outlining what progressions they’ve achieved at their age level, and what progressions they are currently working on. You can find more about on-line progressions reporting here. We will no longer be providing written, hard-copy reports to families as information about your child’s progress will be provided on-line. Throughout the year we will hold individual family conference evenings (Kanohi-ki–te-kanohi / Parent-Teacher-Child). To do this we use an online electronic appointment system. The conferences are 15 minutes per slot. Booking Conference slots go to www.schoolInterview.co.nz. Prior to the event, we will share an unique code with you each time through our weekly/fortnightly teacher or community notices. Week 1: Meet The Teacher & Community Potluck Dinner. We invite all whānau to our information evening on Thursday 7th February at 5pm. Information sessions will be held in your child’s classroom. Week 3: Wednesday 20th & Thursday 21st February Kanohi-ki–te-kanohi / Parent-Teacher-Child Conferences for 15 minutes. New entrants and Year 1 families have conferences at a different time to the rest of school – April for new entrants, and immediately after a 6 Year Net is completed (Year 1s). Week 9: Kanohi-ki–te-kanohi Parent-Teacher- Child Conferences. Days and times to be confirmed. Week 7: Student Lead Open Class. Days and times to be confirmed. 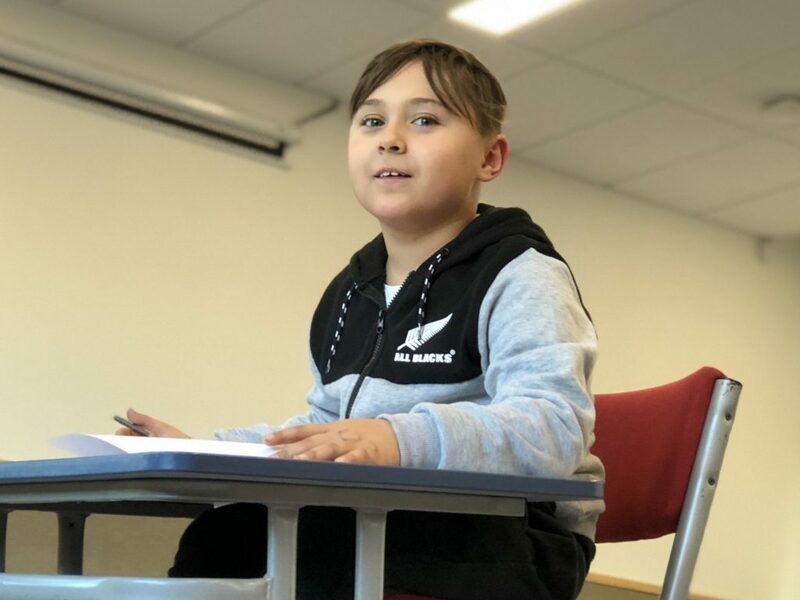 Week 9:  Tamariki-Whānau-Kaiako  / Parent-Teacher-Student End of Year Conferences. SO WHY NO WRITTEN REPORTS? The days of traditional written report are quickly becoming obsolete. The reality is educational teaching practices have evolved far from relying on traditionally written reports that are essentially a one-way, once (or twice) a year document. These reports involved long hours of teacher time in isolation from the students and were written well after the actual assessment date, and well before they were actually presented to parents. The result was that by the time you were receiving your child’s report, they may have progressed even further and the information was no longer relevant. Digital technologies not only support one way information flows but improve the quality, timeliness and richness of the information that is shared. The digital report can be accessed anytime and anywhere by multiple family members. As the process is less labour intensive for our teachers we are able to report on a wider range of curriculum areas and key competencies. Furthermore, reporting is closely related to actual assessments of student achievement of progressions articulated in the New Zealand/Te Marautanga curriculum documents. It is now easier for parents to see the progress their child makes against the goals that were set with their teacher. The online environment provides new and unique opportunities for collecting rich data that paper technologies cannot. Potentially students’ recorded conversations will form a narrative of their own learning and provide parents and teachers with powerful information about where a learner is at. Furthermore, students can post evidence of how they have achieved their goals, ultimately empowering to take responsibility for their own learning – an essential pathway towards becoming lifelong learners. This will encourage students to self-assess and reflect on their learning. Research shows that this is an incredibly powerful learning tool. Finally, by having all the achievement data in one area, you can now track your child’s progress over their entire time at our school, all at your fingertips! WHAT ABOUT IF MY CHILD TRANSFERS TO ANOTHER SCHOOL AND A WRITTEN REPORT IS REQUESTED? Increasingly, receiving schools directly approach leaving schools for data and information. Linc-ed allows us the capability to share your child’s achievement and assessment data directly with the school your child is going to, providing accurate and useful data about the capabilities of your child. This results in less testing and assessments required by the incoming school as the data (e.g. reading and writing levels) is already reported.